U.S.A. S & H - $2.50. Add.50 cents for each additional bag. Ships 1 day after payment clears. SEASONAL - NOT IN STOCK. Picked as ordered. August & September is expected time of Availability. These are the seeds at the tops of the stem. These are gathered fresh each year. They can be used to scatter in the growing area that has suitable growing conditions. As in prior years, I will accept orders ahead of time. Just email me and let me know how many ounces / bags you wish to purchase. # 11-0-2 - White Oak Acorns - @ $3.00 / Lb. # 11-0-3 - Red Oak Acorns - @ $2.00 / Lb. 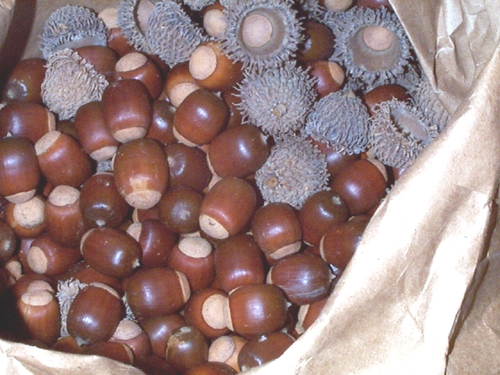 # 11-0-5 - Sawtooth Oak Acorns - @ $3.00 / Lb. 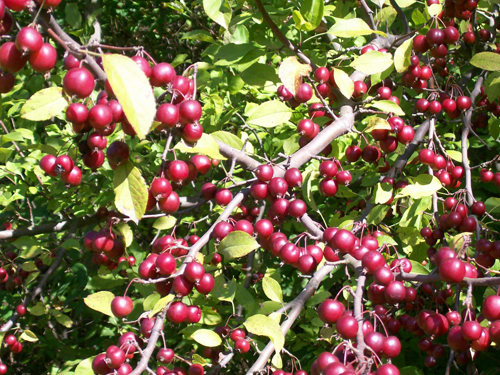 # 11-0-6 - Wild Red Crabapples - @ $3.00 / Lb. 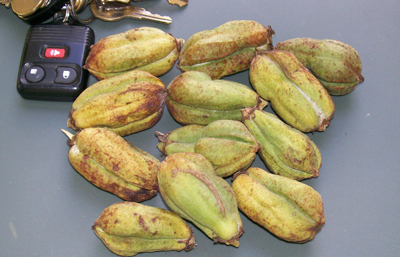 # 11-0-7 - Yucca Seed Pods - @ $2.50 / Doz. 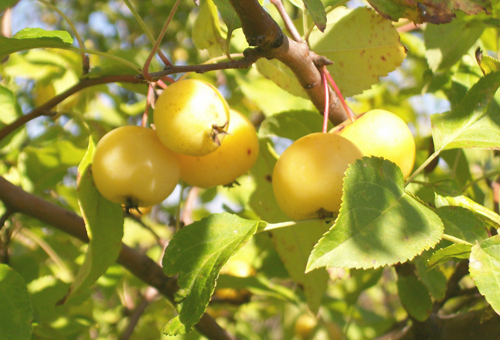 # 11-0-8 - Wild Yellow Crabapples - @ $3.00 / Lb. 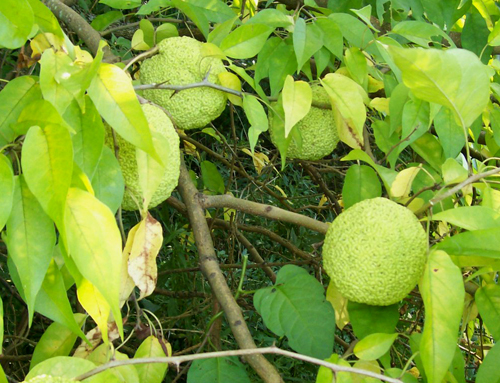 # 11-0-9 - Osage Orange Balls - @ $.80 / ea. # 11-0-10 - Maitake ( fresh ) ( Sheep's Head mushroom ) - @ $5.00 / Lb. # 11-0-11 - Maitake ( dehydrated ) ( Sheep's Head mushroom ) - @ $3.50 / oz. 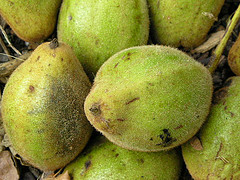 # 11-0-12 - Black Walnuts - @ $3.00 / doz. # 11-0-13 - Wild American Hazelnuts - @ $1.50 / doz. # 11-0-14 - Tanoak Acorns - @ $1.50 / doz. # 11-0-15 - Horse Chestnuts - @ $3.00 / doz. # 11-0-16 - Mullein Pith ( for crafting fishing floats, bobbers, lures & popping bugs ) - @ $6.00 / half doz. # 11-0-17 - Apple Wood Chunks ( for smoking meat ) - @ $3.00 / lb. # L 11-0-17 - Apple Wood Chunks ( 10+ lb ) ( meat smoking ) - $21.00 / box + 'Flat Rate' S & H = $12.10. # 11-0-18 - Dogwood Wedges - Large ( 2 ) ( for splitting logs ) - $12.00/ pair. # 11-0-19 - Crow Garlic / Wild Garlic Bulbils - 1 oz. + - @ $1.00 / oz. # 11-0-20 - Ramps / Wild Leeks - seeds - 30 per bag - @ $3.50 / bag.